Good News TV has partnered with 2 different high quality satellite TV networks to bring you the best quality programming designed to deliver a holistic and hope-filled message that encourages health and healing of our mind, body and spirit! These affiliate networks are: Three Angels Broadcasting Network (3ABN), and HOPE Channel. For Spanish 3ABN Latino, Esperanza TV. Both of these networks deliver unquestionable programs that you can always trust for your whole family to watch. We have hand-selected a variety of programs from both of these networks, as well as programming from various other ministries and locally produced programs, ultimately bringing to you inspiring programming that is custom-tailored to strengthen our physical, mental, emotional and spiritual health. Tune in 24 hours a day to enjoy a wide variety of practical programs that feature healthy cooking, relationship skills, beautiful music, local worship services, disease prevention, Bible teaching, childrens' programs, exercise, mission adventures, archeology, history, and much much more! 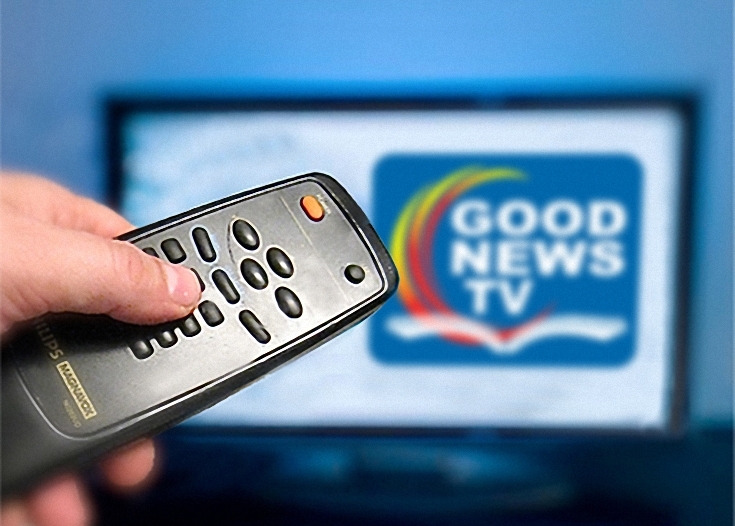 We here at Good News TV hope that you'll find your viewing experience to be a benefit for you and your family on your path to a better life. We also hope that you will call Good News TV "my channel"!